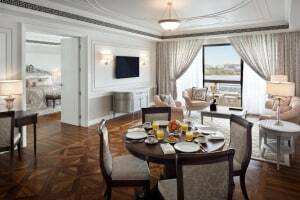 Neighboring the ancient Dubai Creek and popular attractions of the city, Palazzo Versace is an admirable fusion of classic Italian style and modern conveniences. Accomplished with a whisk of opulence and grandiose, the hotel is awarded several distinguished awards like Condè Nast Traveler Middle East Readers’ Choice Award and Best Luxury Hotel Award 2018 by Arabian Travel Awards to name a few. With 215 magnificent dwellings in its property, the hotel sweeps you off your feet with its eight restaurants and bar. The hotel also houses the legendary Quincy Jones’s first ever live entertainment venue. When it comes to facilities for guests, the hotel has got quite a big list. The rooms and suites have been equipped with an in-room control that can adjust the lights, curtains and turn on the radio with a touch. 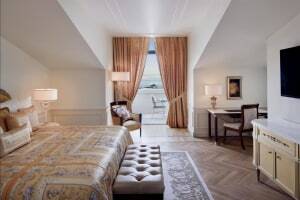 Extravagant bathrooms feature the signature Palazzo Versace toiletries and facilities. A quintessential spa with seven treatment rooms, steam, sauna, and traditional Moroccan Hammams awaits to give you a rejuvenating experience. Neo Contemporary architecture styled in traditional Italian style. Palazzo Versace is home of Dubai's first ever live entertainment venue of the famous musician and director Quincy Jones. Q's Bar and Lounge hosts several live acts directed by Jones himself. 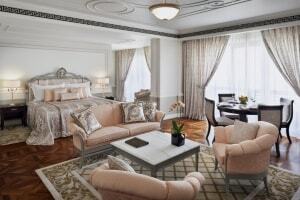 Make most of your stay at Palazzo Versace with this one of its kind experience which you will remember for a lifetime. Smoking is allowed inside the lounge. ;Guests below 21 years of age are not permitted inside. Cozy and modern, La Vita bar is designed in a contemporary style with a touch of Arabic detailing. Featuring leather sofas and candlelit tables, La Vita is a fabulous place for casual hangouts. Grab yourself a glass of enticing cocktail and spend a laid-back evening with your friends and family. The bar opens from 4:00 PM to 12:00 AM on Friday. Decorated in the soothing hues of teal and turquoise, Gardino restaurant is a lovely dining area for brunches and dinners. 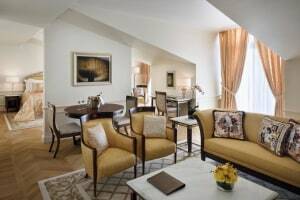 Furnished with terrazzo marble floors, selected Versace wallpapers adorning the columns and walls and the exquisite 'Rosenthal meets Versace' collection crockery all add to the elegance and charm of the place. Giardino serves some fabulous cuisines like Arabic, Indian, Italian and a whole range of seafood as well. The restaurant allows kids of all ages. For a casual hangout and leisure time, Palazzo Versace brings to you its shisha lounge- Gazebo. Located on the ground floor of the West Wing alongside the ischia pool, Gazebo offers you semi-alfresco cozy seating area surrounded by palm trees. Indulge in various shisha flavors from the classic ones to unique mixes by Palazzo Versace. Pair your experience with a selection of Moroccan, Turkish and Lebanese mezze and your favorite drinks and have a great time. 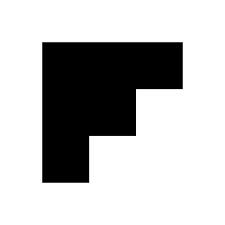 The lounge opens from 3:00 PM to 2:00 AM on Fridays. Located by the poolside, Amalfi offers authentic and rustic Mediterranean cuisine prepared with traditional style. Sit in the alfresco setting amid swaying palm trees and cool tropical breeze. Made using organic and fresh ingredients enjoy a fresh barbeque platter and homemade wood oven baked pizzas and spend a lovely time with your close ones while listening to the resident DJ. Saturday Poolside Barbecue starts from 12:00 PM in the noon till 4:00 PM. Awarded as the Best Luxury Emerging Spa at the World Luxury Spa Awards 2017, Palazzo Versace comes with several wellness treatments for its guests. With seven treatment rooms, a spa suite, a nail studio, two Moroccan Hammams, sauna and steam room, the Spa offers 1000 sqm of elegance and rejuvenation. Interior of the spa is adorned with granite mosaic and motifs, abstract artistry on the walls. In addition to this, it also has a dedicated space for a gym which has all the modern equipment and automated workout machinery to give the guests a splendid experience. Serving Italian cuisine at Palazzo Versace, Vanitas restaurant is located on the ground floor of the hotel. Elegant and chic, Vanitas has an imperial vibe that takes you back to the medieval era. Enjoy classic Italian cuisine along with the innovative fusion of flavors either inside or the alfresco setting of the restaurant. Restaurant does not serve lunch on Friday. ;The restaurant welcomes children above 5 years of age. Situated at the heart of the hotel, Mosiac Lounge is a place to relax and spend some cozy time with friends and family. The intricate designing and fine imprint of elegance echo Versace's grandiose. Enjoy beverages, international lunches, and dinners served in the lounge and spend a rejuvenating vacation in Dubai. Enigma brings the essence of Persia to your table with platters of mouth-watering dishes and delicacies. Headed by the Michelin starred Executive Chef Mansour Memarian, the restaurant is one of the most fabulous places to dine in Dubai. Savor Iranian lunch on Fridays where families share bread together after prayer. The hotel welcomes guests of all ages. However, pets are not allowed. Children under 12 years of age stay free of charge while using the existing bedding. A complimentary shuttle service to Dubai Mall, Festival City Mall and Dubai Parks and Resorts is provided to hotel guests.